Mention our website and get AT LEAST $20 off your smog inspection! 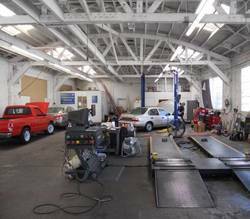 High St Smog & Repair has been around for the last ten years and has satisfied the diverse population of Oakland and Alameda by providing excellent automotive services, specifically smog inspections, brake and lamp inspections and auto repair. We specialize in solving difficult-to-diagnose emissions problems, using the latest computer technology and diagnostic techniques. Our small shop is clean and well-lighted. Drop by for a smog inspection any time but please make an appointment for brake & lamp, emissions diagnostic or automotive service.